At Microsoft, we often talk about the investments we’ve made in trustworthy cloud services. But there’s nothing more encouraging than hearing from customers who recognize and benefit from those investments. This week, we heard from one such customer, Los Angeles County, California, which cited Microsoft’s security and compliance efforts in its decision to move more than 100,000 users to Microsoft Office 365 for Government. 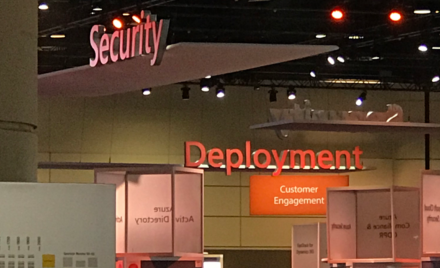 “Office 365 provides the level of security and built-in compliance for HIPAA (the U.S. Health Insurance Portability and Accountability Act) and CJIS (the FBI’s Criminal Justice Information Services requirements) that we require,” said Dr. Robert Pittman, Chief Information Security Officer for Los Angeles County. Full details on L.A. County’s decision are available on the Official Microsoft Blog. You can also read more about Microsoft’s approach to compliance in the cloud and the security benefits of cloud adoption in my recent posts on this blog, as well as my colleague Brendon Lynch’s views on protecting data and privacy in the cloud.